Why is the Express Cargo Van such a well-liked van with Biddeford-area business-owners and local drivers? 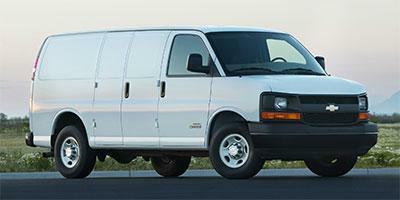 • The Chevrolet Express Cargo Van is a small cargo van that is adaptable and a good vehicle for businesses. • With 122.7 cubic feet of cargo room and a turn diameter of 36.7 feet, you can fit a lot of gear into this van while maneuvering through high-traffic city streets. • It has top-rated safety features including rear park assist and a tire pressure monitoring system to help prevent collisions and unplanned repairs. • When you purchase an Express Cargo Van, you become eligible for the Chevrolet Business Choice Program complete with owner benefits and customization options. Look through our inventory of new Chevrolet Express Cargo Vans near Biddeford to determine the trim and add-ons that you need. For additional information on test driving an Express Cargo Van, call us at (800) 607-2996.